Scenario-based learning has gained a lot of hype in the recent years. It is the ultimate strategy to immerse learners in the course. It also provides learners practical knowledge on dealing with situations they might actually face in real life, improving their decision making skills. What is the approach of scenario-based learning? In scenario-based learning, the learner is exposed to a problem in the form of a scenario and given an opportunity to think and provide a solution. This is a trial and error method. Even if the learner takes a wrong decision, he can be guided and shown the right solution. Feedback will be provided even after he inputs the right answer, reinforcing knowledge. Where can we use scenario-based learning? Is it possible to use scenarios in every e-learning course? The answer would be no. You need not include scenarios in every e-learning course just to improve learner engagement. A scenario must be included in a course when you want the learner to take the right decisions; if he is likely to encounter similar situations in his work environment. Here are some examples of where you can use scenario-based learning. 1. 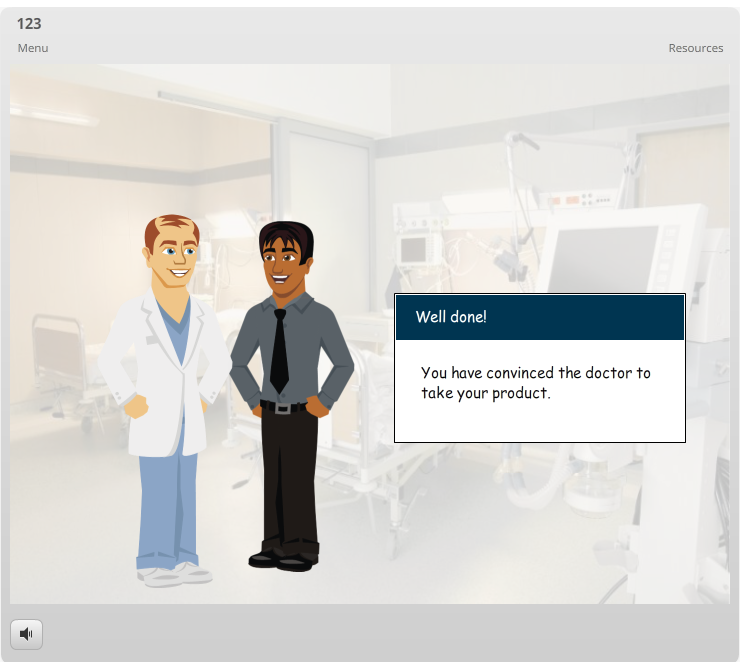 Pharma-Sales Training: Scenarios can be a great way to give your pharma sales representatives a realistic experience of how to deal with doctors. 2. 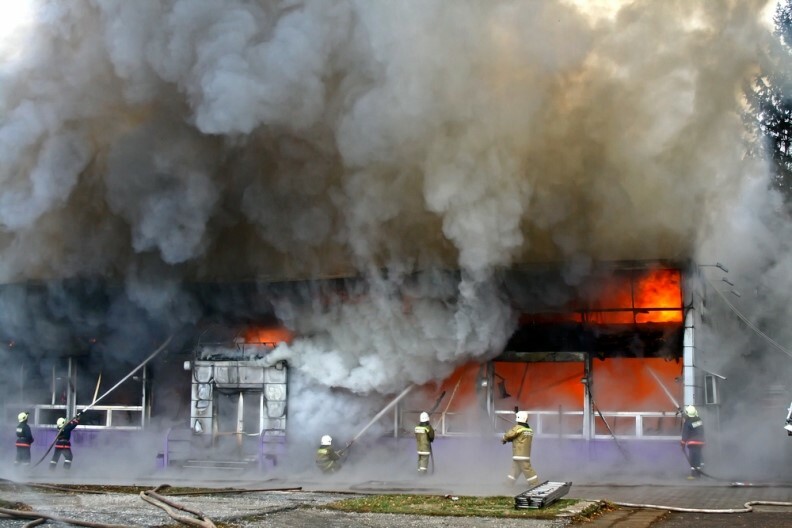 Fire Safety Training: In a fire safety training course, a scenario can be created to teach your employees what they might have to do when a fire breaks out in their workplace. 3. Prevention of Sexual Harassment (POSH) Training: Scenarios showing various types of sexual harassment, what comes under sexual harassment and what doesn’t, and more can be depicted using scenarios. Scenarios can even be used to spread awareness about various sexual harassment rules and regulations among your employees. 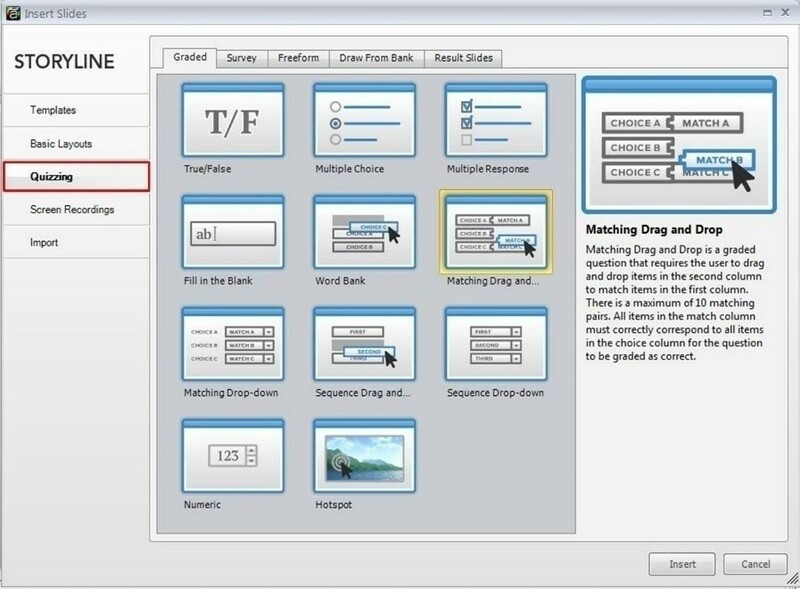 With the advent of rapid authoring tools, it has now become very easy to create scenarios. 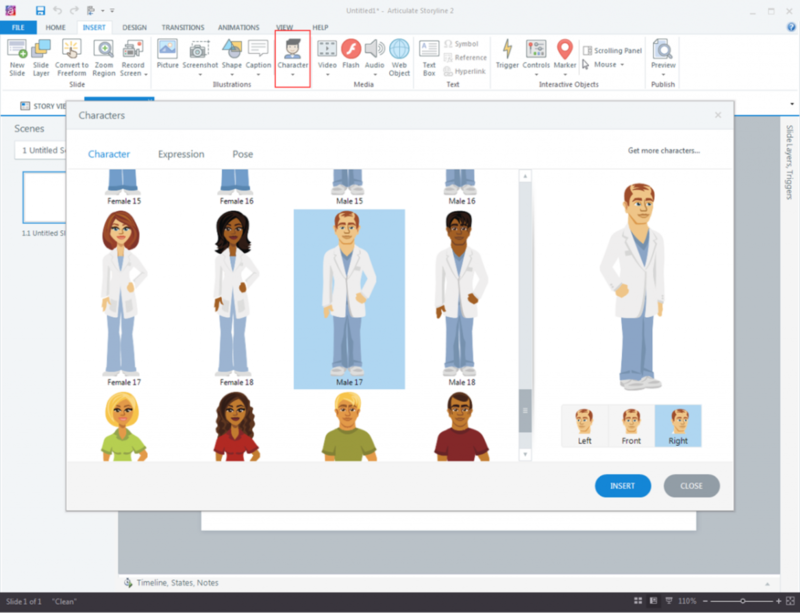 Articulate Storyline is one of the best authoring tools that can help you create scenarios swiftly and easily. 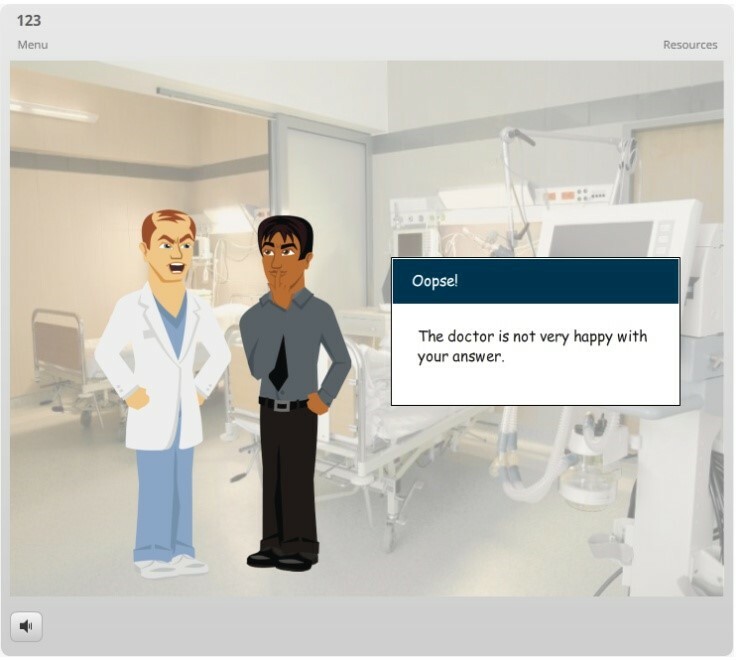 Why Use Storyline to Create Scenario-based Learning? 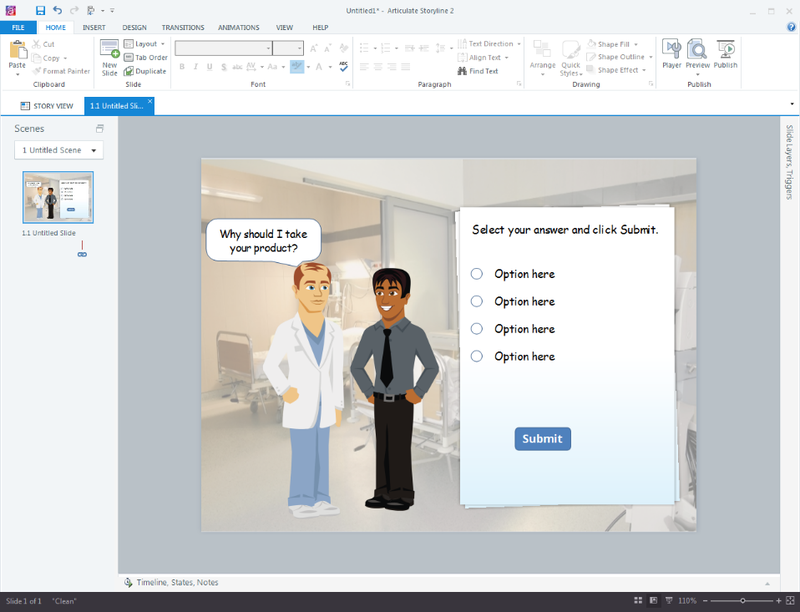 Articulate Storyline is a very simple tool to use. You don’t need to have programming skills to work on this tool. It has around 47,500 combinations of built-in characters – both illustrated and photographic. The expressions of these characters can be changed with the help of simple triggers. This feature can be very helpful when creating scenarios. You only have to choose a character that best fits the context and control it by assigning triggers. Here are three simple steps you need to follow to create scenarios. Based on the story you have created for the scenario, select the characters. To select the characters, you need to click Insert – Character from the Menu. For instance, let us consider a scenario being created for pharma-sales representatives. 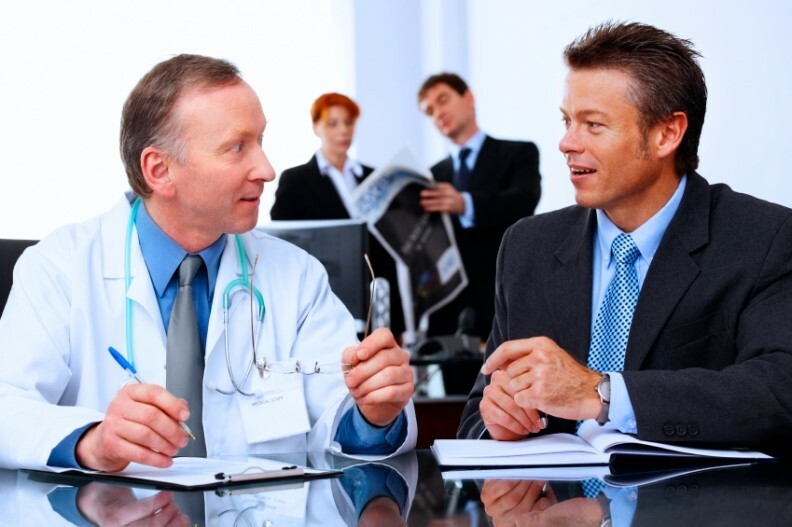 Here the sales representative has to interact with the doctor and convince him to purchase his product. To set the context, the characters of a doctor and a sales representative can be chosen. After introducing the characters, it’s now time to involve the learners in the scenario by asking them some questions related to the scenario. 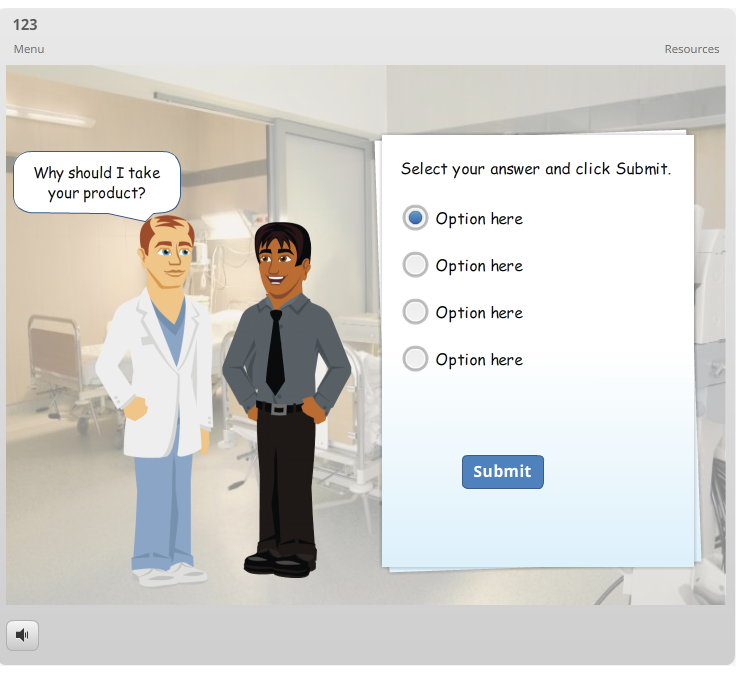 Storyline also provides in-built quiz templates. Take a look at the screenshot given below. Continuing the example discussed above, let us assume the learner taking this course is a sales representative. The scenario can now pose questions to the sales rep asking him to select answers for the questions the doctor is likely to ask. It’s now time for the learner to think and act, by answering the questions of the doctor. If the learner chooses the right answer, he must be appreciated and provided feedback that reinforces his knowledge. If he chooses a wrong answer, he must be guided properly. Scenario-based learning is an effective method of immersing a learner completely in the course. 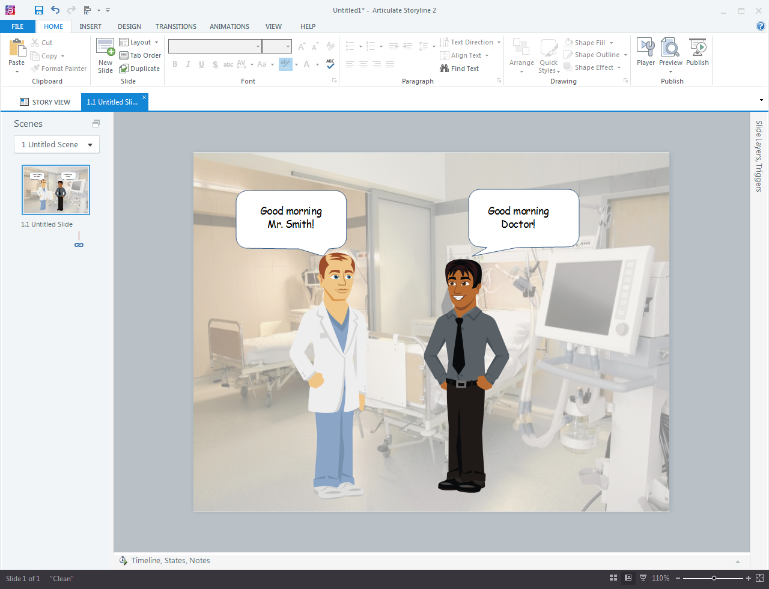 And rapid authoring tools such as Articulate Storyline have made the life of developers very easy while creating such scenarios. I hope you find this blog interesting. Do share your views!